Near lively Crown Heights, you'll find Parkside Brooklyn – a peaceful community with white-glove amenities, beautifully airy apartment homes, and more, located just steps from beautiful Prospect Park. For those looking for Crown Heights apartments for rent, Parkside Brooklyn’s elegance and style is just minutes away. Residents can take a stroll through Prospect Park to the lush Brooklyn Botanic Garden, the Brooklyn Museum, and the landmark Eastern Parkway Branch of the Brooklyn Public Library. Crown Heights is full of other sites of cultural and historic value, including the Brooklyn Children's Museum, the Jewish Children's museum, and the Weeksville Heritage Center. For a more day-to-day experience, the neighborhood is host to numerous fitness facilities, shops, and top-notch restaurants that dish up everything from Cajun to Caribbean to Cantina fare. With the B16 bus around the corner and the Q, B, F, and V New York Subway Lines located just steps away, Parkside residents can reach the shopping and transportation hub at Brooklyn's Barclays Center in just 15 minutes—and downtown Manhattan is just 20 minutes away. At Parkside Brooklyn, residents don't just enjoy the many conveniences of Prospect Park and Crown Heights – Parkside offers a full set of top-quality amenities. Parkside residents can enjoy the games room and kids' room, along with a fully-landscaped roof deck perfect for hosting a BBQ, relaxing on a lounge chair, and basking in the panoramic views of South Brooklyn. And to keep active, there's a yoga room, a spacious gym with state-of-the-art equipment, and Parkside bikes. 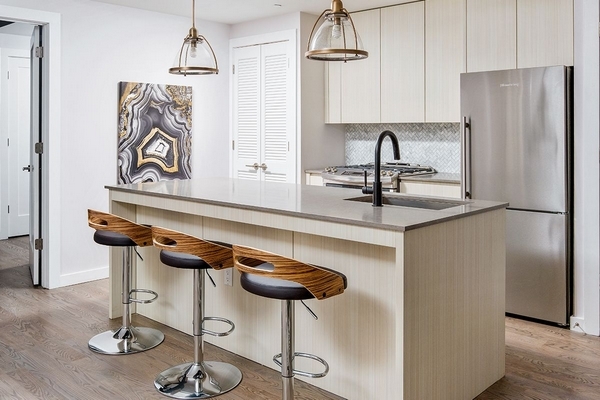 Parkside Brooklyn's apartments offer a sophisticated, modern style rivaling the best of Crown Heights rentals, from the stainless-steel appliances in the kitchens to the oversized vanities and sleek finishes in the bathrooms. All of the spacious apartments – from the airy studios to the expansive 1-, 2-, and 3-bedrooms – are competitively priced for the vibrant neighborhood. And at Parkside Brooklyn, there's never a need for a realtor's fee. 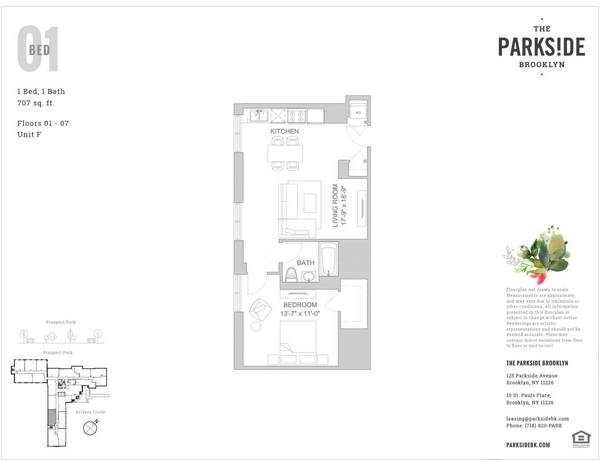 After taking a look at the apartments currently available at Parkside Brooklyn, contact our leasing office to discuss the next steps to making Parkside your new home just steps away from Crown Heights.